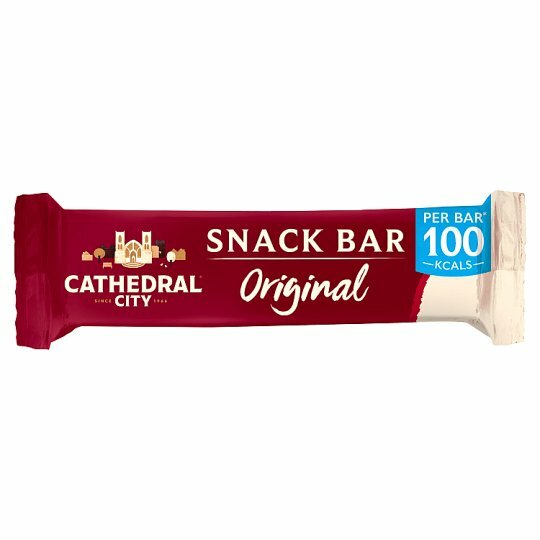 Mature Cheddar Snack Bar with the distinctive smooth, creamy taste of Cathedral City. A great snack for cheese lovers, with 100 calories per bar* and high in protein. It's ideal for a delicious on-the-go snack you can feel good about, or a tasty addition to your lunchbox. Enjoy straight from the fridge. Contains milk. Enjoy straight from the fridge.